Hello Albuquerque Robert Melloy here and welcome to Melloy Nissan! You’ve Landed on My Blog and Social Landing Page for Melloy Nissan!! Follow Us Socially! 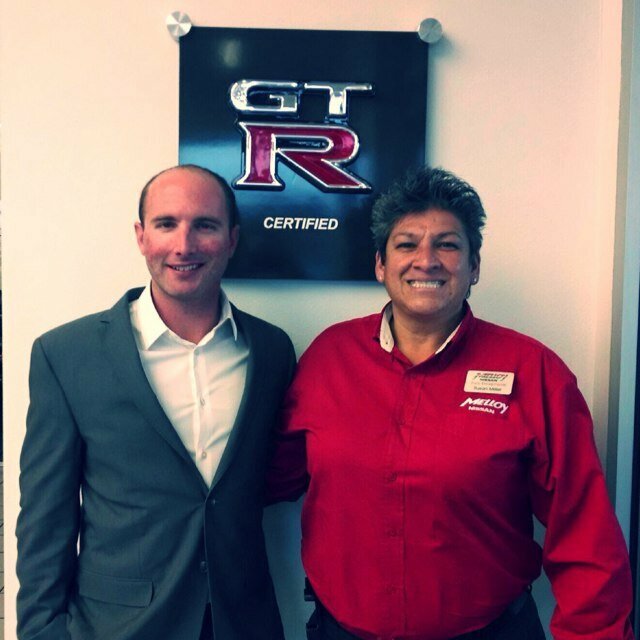 Melloy Nissan is New Mexico’s top rated dealer in terms of sales and customer ratings. My Grandfather Bob Melloy Now 91 founded Melloy Nissan! We are family owned and operated and have been serving Albuquerque for over 48 years. Melloy Nissan is the preferred Nissan dealer for the majority of New Mexico Credit Unions. We offer Certified Pre-Owned Nissans with full factory warranties. We have the largest inventory of new and used Nissans in New Mexico. See our inventory at http://melloynissan.com where you can request a quick quote to receive our lowest price based on current market conditions within minutes. Melloy Nissan specializes in getting customers the lowest APR financing regardless of their credit history. Melloy Nissan is an authorized dealer for Nissan Commercial Vehicles. We can upfit a vehicle to your business needs.